Zombies are everywhere on our screens these days - films, television series, games. In such an over-saturated market, a fresh take on the zombie narrative is quite a challenge. However, this is just what director Sang-ho Yeon has achieved in his thrilling movie, Train To Busan. Starting in familiar genre territory (a leak in a biochemical plant creates a deadly zombie virus), the film starts to reveal its exciting potential when, instead of following the progression of the horrific virus, it chooses to focus on the relationship between a father and his young daughter. Much of Train To Busan takes place on the high speed train itself. The physical action is a frenetic (at times exhausting) and gripping viewing experience. Lee Hyung-deok’s cinematography, particularly given the cramped spaces, is endlessly impressive. This claustrophobic confinement serves to ramp up the film’s tension as a small band of uninfected humans struggle to survive. Among them is pregnant Seong-kyeong (Yu-mi Jung) and her husband Sang-hwa (a wonderful performance from Dong-seok Ma, often providing much needed humour). Again in no time at all, Sang-ho Yeon makes us care about the couple. Trapped on the train, the human survivors have no means of knowing what is going on beyond their carriages. Is it safe to disembark? What will be waiting for them in Busan? One thing is for certain, those in authority are not to be trusted - a theme (and social commentary) that runs throughout the film. Many zombie horrors crank up the chaos as they reach their final act. 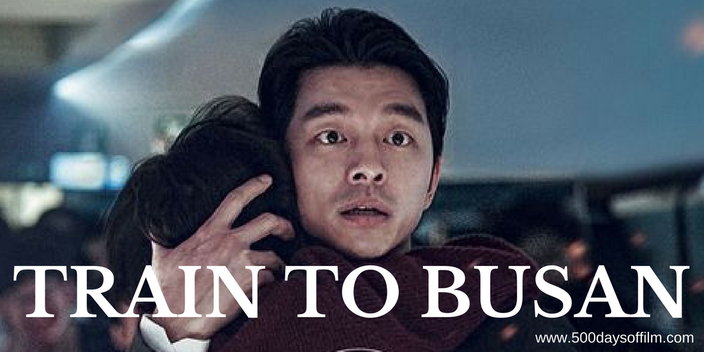 However, Train To Busan holds its nerve and stays true to its more intimate character focus. This is a zombie film with heart and its conclusion is all the more powerful as a result. Have you seen Train To Busan? If you have, what did you think of Sang-ho Yeon’s zombie horror? Let me know! Leave me a comment in the section below.